In March, two entities announced the creation of a new certification process for educators who are teaching media literacy—whether it be in a specific news or media literacy course or as a practice embedded in their work as teachers of other subjects, such as language arts, science, or social studies in elementary, middle, or high school. 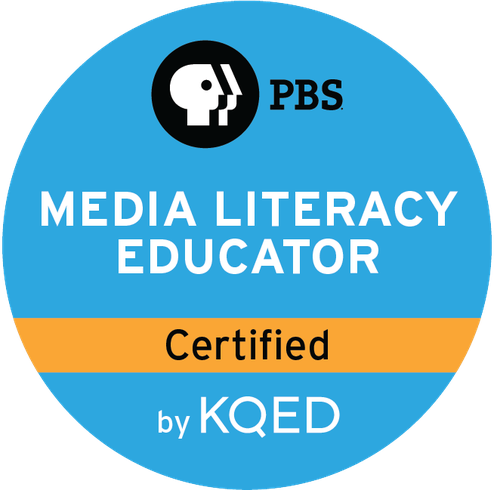 The Media Literacy Educator Certification was developed by KQED, the public broadcasting station in the Bay Area of California, which has developed a suite of online videos and courses for students and educators across the age spectrum. It is being launched in a partnership between KQED and PBS. To learn more about the whys and hows of this new program, we conducted the following Q-and-A with Sara A. Schapiro, vice president of education at PBS. 1) Tell me about the origins of this Media Literacy Certification program. Why did you decide to develop it? We — and our network of partners — are media creators at our core. PBS, our member stations and our producing partners have been at the forefront of the creation and dissemination of the best, most thoughtful media content for decades. Our work at PBS has been based on the research-supported understanding that media thoughtfully integrated into instruction and play, combined with meaningful, relevant professional learning and supportive communities for teachers and caregivers, can create high-quality learning experiences for every child and contribute to success beyond the classroom. There is a growing recognition that to be “literate” today means you must be “media literate”—having the skills to “access, analyze, evaluate, create, and act using all forms of communication” (the definition used by the National Association for Media Literacy Education). Increasingly, these skills are essential to our daily activities, and impact our understanding of—and ability to—contribute meaningfully to our communities and society. As media use becomes pervasive, it is becoming increasingly essential source material for classroom instruction. 2) What are the key components of the certification process? How does one get started? The first is a pathway to certification through a portfolio submission process –that recognizes the educators who possess and apply media literacy skills already. For educators who need support in building the competencies before they submit a portfolio, we offer free media literacy courses through KQED Teach, and will soon offer them through PBS TeacherLine as well, to help teachers improve their skills in specific areas. These courses help educators develop their own media literacy skills, including the ability to analyze media, create original content using multiple media production techniques, share original media on a variety of online platforms designed to reach specific audiences, implement lessons that help students foster media literacy skills, and more. 3) This is coming at a time when media literacy and digital citizenship are very hot topics, with new curricula emerging to help teachers. Are you agnostic about the curriculum or approach that teachers take? Why or why not? Specifically, PBS and our partner KQED drew on NAMLE’s work to develop our media literacy competencies. And, more generally, we believe teachers know their students best, and that the approach to media literacy can be multidisciplinary, incorporated with students’ needs and strengths. Media literacy competencies can be infused throughout the day (in science and math class too!) and don’t need to be confined to English Language Arts, media, or journalism classes. Media literacy in the modern classroom is about being proactive and helping students understand and interpret what media they are reading, seeing and consuming. 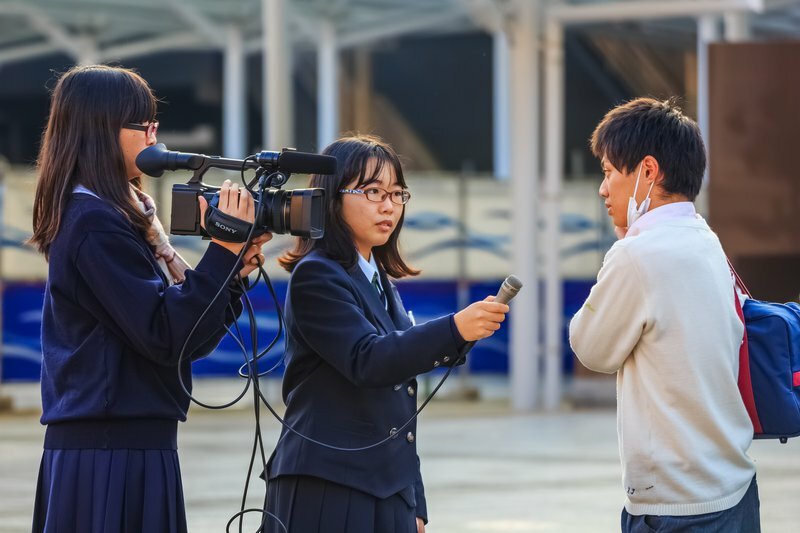 Media can be an amazing tool to enrich instruction and spark students’ curiosity—and it’s even more powerful when students learn to be discerning media consumers. 4) Over the past several years, professional development and credentials have come under criticism for not always being connected to the real work that teachers do in the classroom. How is this program addressing those concerns? A trend we’ve seen in education and professional learning is certainly a shift toward competency-based recognition. We designed this program around this approach so that educators could be recognized for creating and implementing instruction with media—drawing on the work that they’re already doing with their students in their classrooms every day, and helping them build their practice. Portfolio submissions must include evidence of classroom application of media literacy skills, demonstrating how their students are critical consumers and creators of media themselves. 5) PBS has become known as a source for professional development programs for educators. And yet providing that is a different type of activity than the work of broadcasting programs into local communities. Help us understand this shift and what role you see public media playing in our education system moving forward. PBS is dedicated to offering educational media to learners of all ages—on broadcast and across platforms—and our member stations bring this enriching content to communities nationwide. Through our work with teachers, we are building on this long-standing commitment to sparking lifelong learning, connecting educators with teaching strategies and learning opportunities that help them integrate our rich, high quality content into their classrooms.